I am delighted to be sharing with you one of my all-time favorite handmade shops in this week's Shop Spotlight -- Alexandra Rose Handmade. 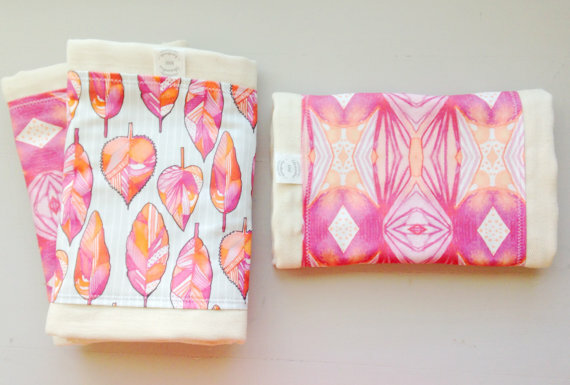 With modern and eye-catching patterns used to make products that are both functional & top notch quality, Alexandra Rose Handmade is in a league all its own. Olivia has been privileged to rock many pieces from ARH over the past year & every single one has won us over from the moment it arrived on our doorstep. 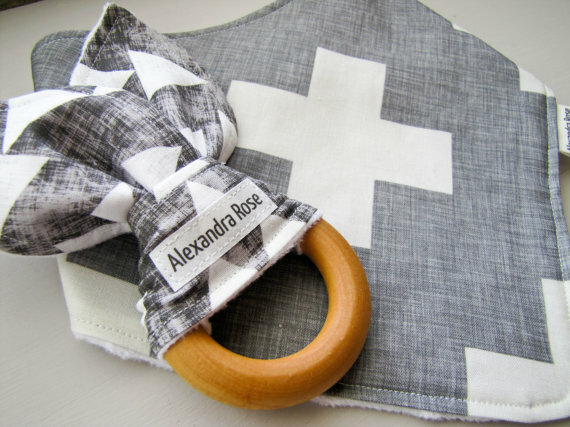 Plus, it's owned by Alexandra Rose herself -- the lovely & creative Mama of 2, who turned her passion for pattern and her need for a quality baby item for her own son into a growing & thriving business. 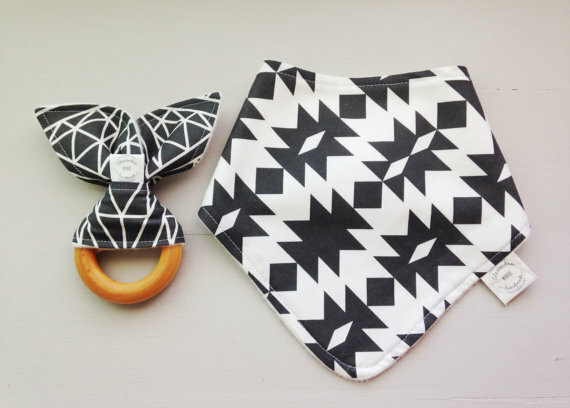 From her teethers to her drool bibs and of course, her gorgeous leggings, we love it all. I was so excited to collaborate this Fall with Alex because over the past several months she has become such a dear friend of mine. It has been a joy to watch her business grow to what it is today, and every ounce of her success is well-deserved. Alex puts so much time, care, energy, creativity, and thoughtfulness into her products -- from her fabric to her materials to her labels and business cards. The new Fall pieces she is releasing are seriously gorgeous. No picture does this drool bib + legging combo justice, and when Alex sent me a sneak peek before she dropped them in the mail, I literally gasped. They are that good. The quality was just as I knew it would be -- perfection. We have about half a dozen drool bibs from her shop and I put them on Olivia both for function [when she is teething] & for style. They are a great accessory to add style to an outfit but also protect clothes from being covered in drool. I keep one in my diaper bag and another in the car so we always have one on hand. I'm dying to stock up on a few from her new Fall line to give as gifts this coming winter. Her drool bibs are backed with the softest bamboo fleece & a pearl snap closure which is just extra elegant. The bamboo is not only luxurious against a babe's sensitive skin, but it is also absorbent and has anti-microbial properties while still being a sustainable resource! 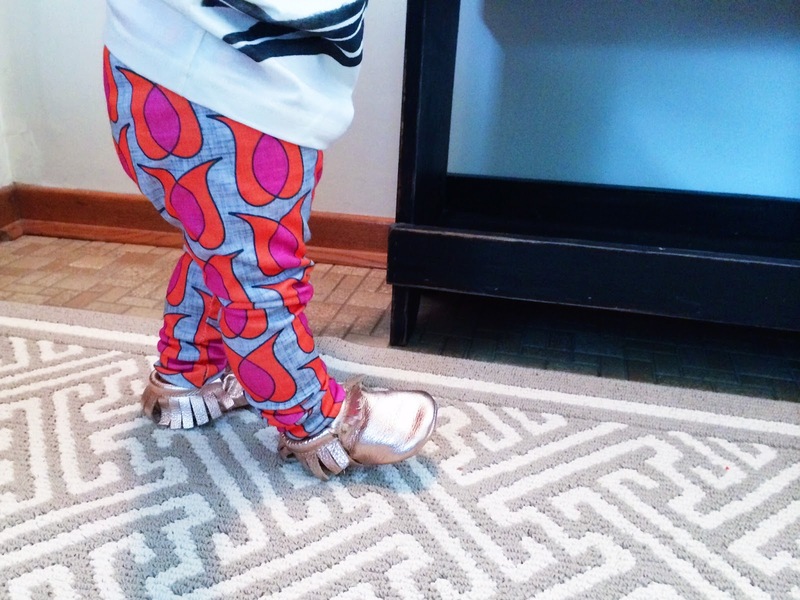 Her leggings are just as wonderful -- made of organic cotton with serged seams for a professional & durable finish. When I look at them, I have a hard time believing they were made by hand -- they are that flawless. 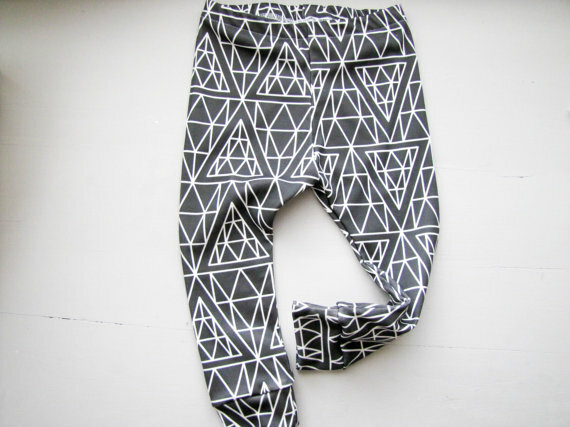 My favorite part about them [aside from the patterns] is that they have a no-roll elastic waistband. I've had so many leggings where after just a few times of putting them on V, the waistband is jumbled and uncomfortable. These offer the perfect fit, snug but comfortable, without any fuss. Aside from her drool bibs & leggings, Alexandra Rose Handmade is most known for her wooden teethers -- made of solid maple rings with fabric 'ears' attached for a baby to chew on to soothe sore gums. The first teether we ever gave Olivia was one of these & I love everything about it. The rings are the perfect size for a baby to hold [at 2.5''] & the fabric can be easily removed for washing so it always stays fresh. She also offers teething tethers, oversized burp cloths, organic knit shorts & even gift sets, perfect for any Mama to Be! "Hi, I'm Alex, wife, mamma and owner of Alexandra Rose Handmade. My goal in designing items for your children is to offer a unique twist on a practical product. 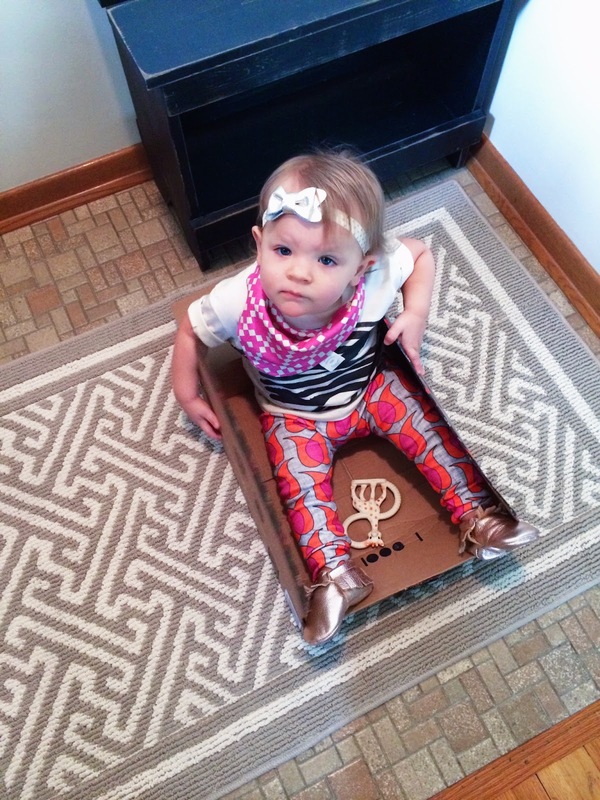 The idea that a baby item can be stylish, functional and useful means so much to me. I can remember after having my oldest son I literally could not find a burp cloth that I wasn't embarrassed to use in public - and so I set out on the mission to create my own! My love of designing only grew, as did my family! After we welcomed our second precious boy my creative side needed another outlet, and I began making children's apparel and accessories...because, who needs free time, right?! ;)"
"I'm a huge fan of black, white & gray, but love a splash of color too. Geometric prints have my heart, and I absolutely love that they are so versatile. 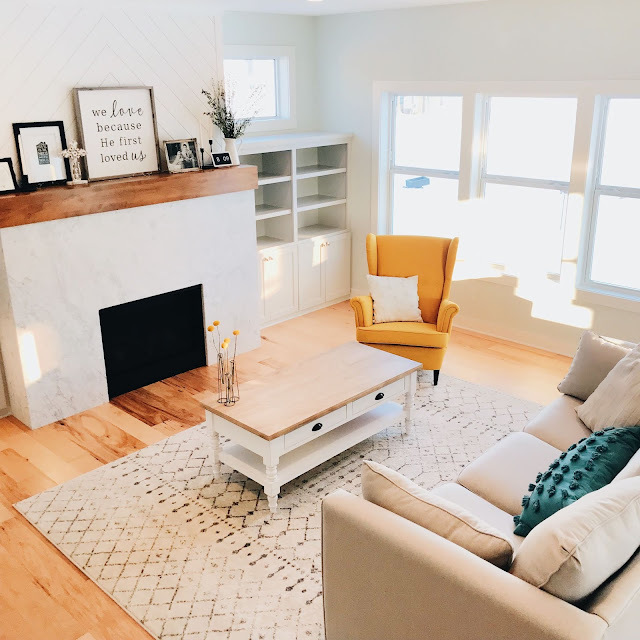 I always hope that my designs have an urban-meets-boho, comfortable, natural feel to them - and yes, that's a real thing :) I'm constantly inspired by my amazing boys, my love of shapes, the gorgeous pacific northwest and our time outside exploring." "Our fall line has me crazy excited! Much more color than my traditional b&w palette, but so fun and versatile! Tons of bold shapes and geometric patterns in the perfect fall colorways. I love that all of the pieces can be mixed & matched in any combination - you can't go wrong!" "Owning my own business has been the most stressful, crazy, hectic and yet rewarding thing I've ever done. I've been given the opportunity to help provide for my family, pursue a craft that I am passionate about and make connections with other absolutely amazing shop owners, all while staying home with my boys. 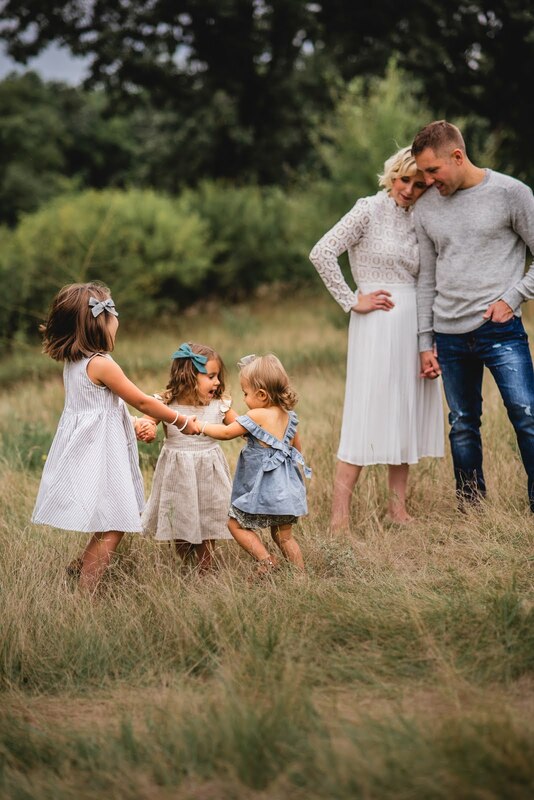 I'm convinced there's no such thing as complete balance between being a wife, mom and entrepreneur, and there are some days where I wonder why I try and do it all, but I hope that my children learn that you really can make your dreams come true!" 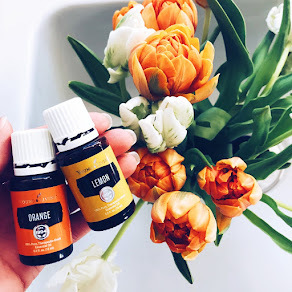 my favorite products || I've already said so much. I think I can sum it up here & just say 'everything' // the new fall line is perfection [the coordinating set V is wearing is going to be our go-to from now until she outgrows them] & I will always love anything she offers in the classic gunmetal diamond. quality + craftsmanship || top notch. from top to bottom, start to finish -- alex considers every last detail in each one of her products and only puts out the best of the best for her customers. overall opinion || certainly you've gathered by now that Alexandra Rose Handmade is one of our favorite shops + that no matter what piece you purchase, you win. value + recommendation || whether you're shopping for yourself + your babe, a new Mom or a Mama-to-Be, ARH has what you need and in the style you want. Whether you are looking for something classic or something vibrant & striking, you'll find it here. And the best part? Her prices are on point for the quality of her products and she is the sweetest ever to buy from! giveaway || enter below to win a $30 shop credit to stock up on your own favorite Fall pieces as soon as they're released! giveaway runs from monday august 25 through sunday august 31. open to residents in US + Canada. winner will be announced & contacted by email and is responsible for responding within 24 hours to claim their prize. happy monday! I love it all but especially love the new fuschia/pink geometric drool bib! I am completely obsessed with Alexandra Rose's products! I cannot wait to see her Fall boy prints! 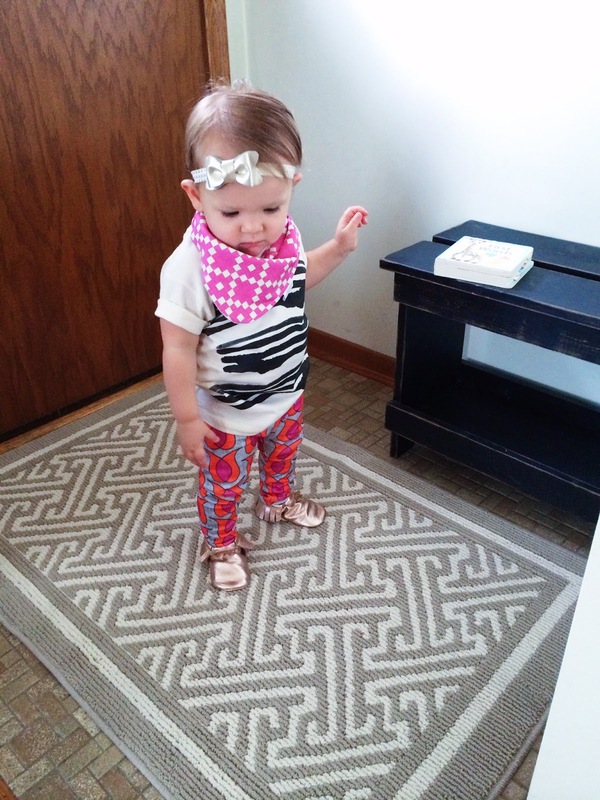 I am totally loving her drool bib and teether set in ANY print! They are all flawless and I can't wait to buy my first set! I love the prints/fabrics she chooses; such great taste. I'm hoping to get some burp cloths!! Her patterns are to die for!!! Love her whole line. I would get a few teether rings for out new LO coming in Feb! I love the tethers! My little is cutting her top two teeth and it's a nightmare! Just ordered my first drool bin today! I can't wait to use it on my little guy! I can't wait to try her other products! Love all her items (especially the fabrics), but her drool bibs are my favorite! Just bought one for a dear friend's newborn and they are so well made...now I want to snag one for my little one! I am obsessed with these teethers, and now the teether tethers! My guy just starting teething, and loves to nosh on everything--especially wooden toys! The bibs are great, too!